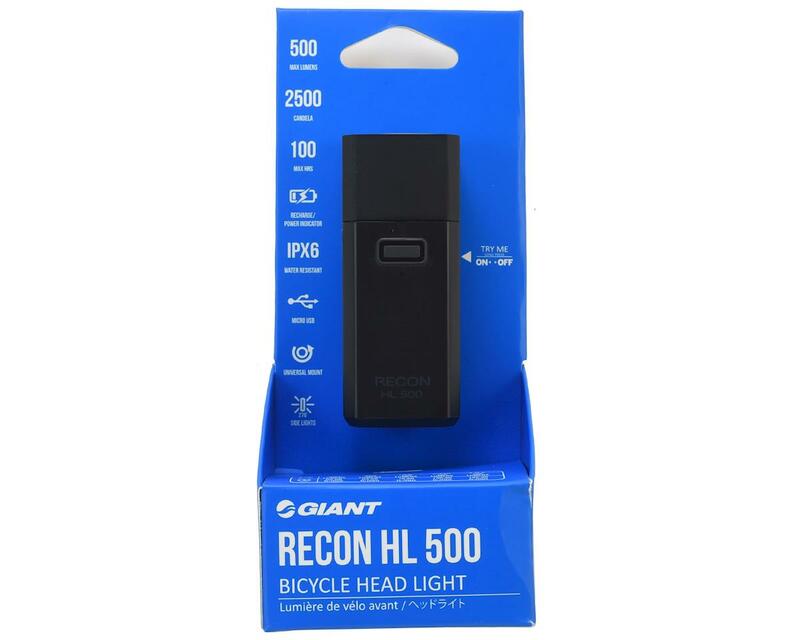 This is the Giant Recon HL 500. 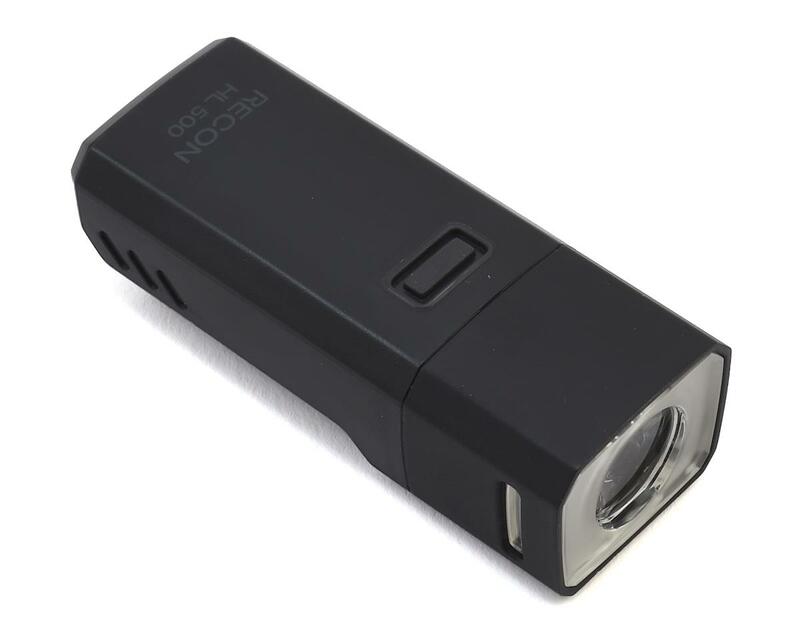 This headlight has 5 modes ranging from 100-500 lumens, with a battery life ranging from 2-100 hours. The Recon HL 500 features 270-degrees of visibility thanks to the focused optics side light design. 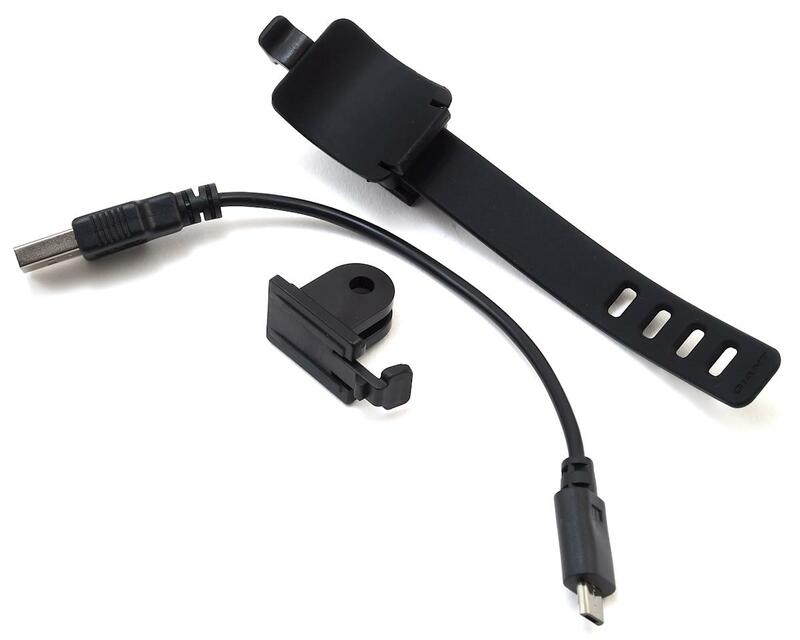 The CNC-machined body make the headlight durable, but lightweight at only 81 grams.